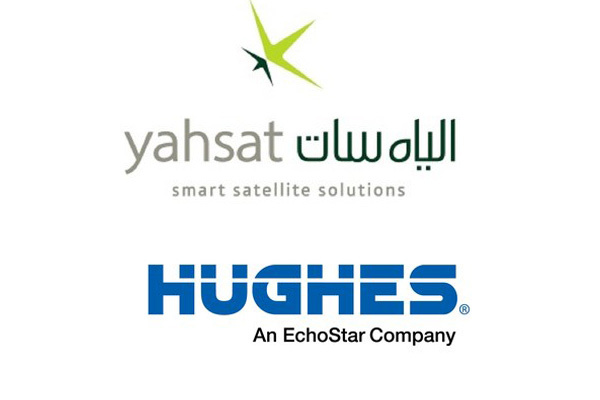 Yahsat, a leading global satellite operator based in the UAE and wholly owned by Mubadala Investment Company, and Hughes Network Systems, a subsidiary of EchoStar Corporation, today announced an agreement to enter into a joint venture to provide commercial Ka-band satellite broadband services across Africa, the Middle East and southwest Asia. This new venture combines Hughes deep expertise as the global leader in broadband satellite networks and services with Yahsat's unique position and knowledge as the leader in satellite broadband solutions across these regions. The new venture will continue to provide unserved and underserved communities with reliable, high-speed Internet services operating over Yahsat's Al Yah 2 (AY2) and Al Yah 3 (AY3) Ka-band satellites, and leveraging the capabilities of the Hughes Jupiter System, designed and optimised for large scale High-Throughput Satellites (HTS). Hughes will also supply its proven Operating and Business Support System (OSS/BSS) solutions for comprehensive network operations and management. Initially, the venture will focus on "direct-to-premise services" to homes and small- to medium-sized enterprises, and to community centres and schools that are served under local government programmes across these regions. In parallel, there will be an increased focus on "community hotspot" solutions to make satellite-enabled broadband more accessible to many more users across the AY2 and AY3 footprint, which currently covers more than 1 billion people. In addition, the venture will also aim to capitalise on the accelerating transition towards Ka-band based backhaul and carrier solutions from mobile network operators. Masood M Sharif Mahmood, chief executive officer, Yahsat said: "The partnership with Hughes plays a significant role in Yahsat's growth story and serves as an important step in achieving our vision to providing global satellite broadband services to individuals, communities, governments and businesses in unserved and underserved communities. Yahsat's remarkable track record and experience in operating YahClick, combined with Hughes technology leadership and experience, are a winning proposition to unlock the mass market potential of satellite broadband services across the region. I am very pleased to see our longstanding partnership with Hughes as a supplier over the years now advance to this strategic and very important joint venture for Yahsat." Pradman Kaul, president of Hughes, said: "Yahsat has been a valued customer for many years, incorporating our Jupiter System and operating expertise into their services. This next step in our relationship is a natural evolution that builds on our shared commitment to connecting the unconnected and reflects our strategy to partner with leading providers around the world. Our investment in this venture will expand our presence in Africa, the Middle East and southwest Asia markets, where broadband demand is expected to grow exponentially in the coming years."